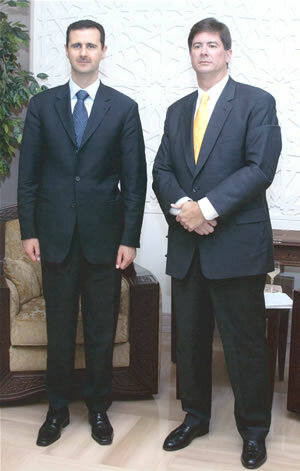 Syrian Ambassador to the US Imad Moustapha sent a letter to the NY Times on May 11 stating that Syrian businessman and first cousin of Bashar al-Asad Rami Makhlouf “holds no official position in the Syrian government and does not speak on behalf of the Syrian authorities.” This was in reaction to the NY Times‘s interview with Makhlouf, which portrays him (correctly) as an influential businessman with connections to Syria’s top rulers. If there is no stability here [Syria], there’s no way there will be stability in Israel. After the Makhlouf article was published, nearly every Arabic-language news outlet focused on this line, including al-Jazeera Arabic. Al-Quds al-Arabi, the London-based daily, dedicated its editorial to analyzing Makhlouf’s statement about Israel. The editorial states that Syria’s support for the Resistance, which has always been questioned by some, is now going to be put under more scrutiny. Presciently, the editorial predicts that Makhlouf’s comment will lead to “unintended consequences” even if it was just a slip of the tongue. On that note, before two months ago, it was nearly impossible to find a photo of Rami Makhlouf online, much less a detailed article about him in the English-language media. Now that he’s getting front-page NY Times coverage, it’s hard to miss his face. Top Image of Rami Makhlouf from Aleppous Project. The Syrian actor and comedian Durayd Laham (also referred to by the name of his famous character Ghawar) is one of the best-known and well-liked Syrian performers in the region. That is, until a video surfaced at the beginning of March showing Laham and Qaddhafi, along with other Syrian actors and musicians, getting cozy at a party at Laham’s home in Damascus after the 2008 Arab Summit. The video was released well before demonstrations hit Damascus, but during the height of international media coverage of Qaddhafi’s brutality in Libya. It’s not possible for anyone with a shred of humanity to accept what is happening in Libya. Two months after his al-Akhbar interview, and two months into the largest popular demonstrations Syria has seen in decades, Ghawar doesn’t think it best to afford the Syrian people the type of freedom of expression he advocated for Libyans. In an interview with al-Arabiya, Laham said that the Syrian Army is preserving “civil peace.” During the interview, al-Arabiya states that Laham mostly slurred the protestors in Syrian dialect, so they couldn’t reprint his words exactly. Syria considered him a friend, and on this basis, we dealt with him. But he was wearing the devil’s cloak. Bye, Ghawar. I’ll miss you. The Army entered the cities with “preciseness” and did not injure or kill anyone. Over 1,083 people have turned themselves in since they felt so guilty about their militant actions. In keeping with the angle of foreign meddling in Syrian domestic affairs, al-Watan reports that a “central operations room” of the “militants” was discovered. Inside the room was a whole trove of militant gear! “Cameras with satellite capabilities.” If you look closely at the photo above, it’s pretty obvious that these are non-digital cameras and perhaps the oldest looking video camera you’ve ever seen. Once the Syrian government found out that these crafty militants were using phones and “satellite” cameras, there was only one real solution: shut down the internet and wireless networks. Give Asad the benefit of the doubt? A young generation of Syrian entrepreneurs, weaned on the Internet and devoted to the global marketplace, has arisen in the last decade or so. They see fresh chances to make big bucks and show little appetite for political confrontation. During the 1960s, and then under Hafez al-Assad in the ’70s, Syria had its version of the youth movement. It survived partly because Syrian activist-artists steeped in Sartre shared with the country’s rulers a dream of pan-Arab prosperity. But today young Syrians, many of them freely admit, dream not about making waves but making money. Syrians like Abdulsalam Haykal and Sami Moubayed, who I guess are on the younger side of the spectrum, are in line with Kimmelman’s description. Both are involved with the development of the private media in Syria, with Haykal being CEO of Haykal Media and Moubayed writing and editing the Haykal-owned magazine Forward. It was Haykal who announced last month via Twitter that Syria had lifted its ban on Facebook. I have singled out these two since not only are they very successful financially, they are also media savvy and serve the regime just by being young Syrians who support Bashar. With Bashar’s wife Asma al-Asad spearheading the “development” of Syrian civil society through a network of government-sanctioned (N)GOs, such as the Syrian Trust for Development, characters like Haykal and Moubayed embody the ideal type of leader emerging from this tightly-controlled civil society. One is that of Al Assad, which calls for calm, and offers far-reaching reforms that would completely face-lift and revamp the entire composition of the Syrian regime . . . This path promises democracy via the British model, through evolution not revolution. The second path is that of chaos and a very uncertain future at the end of the tunnel. It calls for bringing down the regime, shattering Syria’s tranquillity, and thrusting the nation into a very murky future. Is it possible that Moubayed speaks for a large segment of the Syrian population when he lays out these two futures? Yes. It’s also possible that the stability of a dictatorship will continue to bring success, a stable economic future, and steady foreign investment for the elite, continuing the trend of the past several decades of circulating power and wealth amongst a small cadre of individuals. 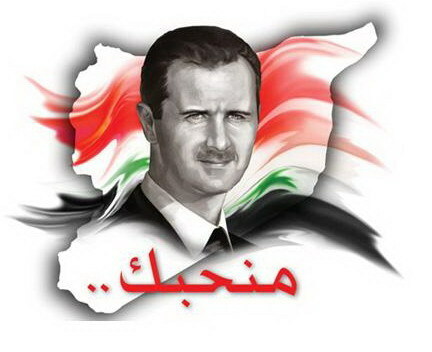 When I talk to other Syrian youth, those whose family members have served time in jail for political views, I see optimism in a different future, one that does not involve “trusting” your leader or giving him the “benefit of the doubt,” since this option has certainly benefited only a select few. For academics, establishing access in Syria for research is difficult. Maintaining that access over years is even more difficult. While I understand this basic concept, and have experienced the so-called “red lines” in Syria while attempting research, it seems to be a given that academics shouldn’t sacrifice the honesty of their work in order to maintain this access. With the past two weeks of demonstrations and violent responses by security forces in Syria, those academics who have maintained their access to Syria – undoubtedly with some bumps along the way – have weighed in with their analyses. Joshua Landis of the University of Oklahoma and David Lesch of Trinity University are the two that come to mind and are the most likely to be branded as apologists for the Syrian regime. It’s hard to find much evidence that contradicts that judgment. Though I often think that Landis is doing his best to ward off hawkish responses to the Syrian regime, i.e. sanctions and invasion, it’s also apparent that he is quick to support the Syrian regime’s assertion of ongoing “reform,” even when the reality of the situation is repression, political prisoners, and widespread deception in the Syrian press. 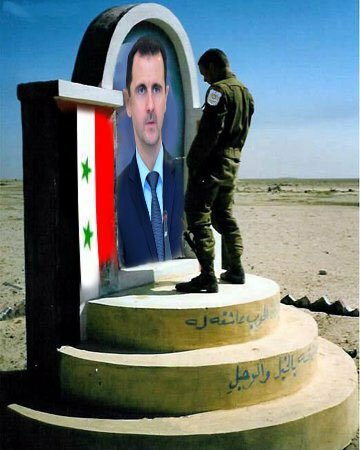 There is no denial that many Syrians support Bashar al-Asad, but should this preclude harsh criticisms of past and current regime actions? Landis and Lesch have both paid their obligatory lip service to human rights, stating that Syria must seriously work to improve its human rights record, but often, this statement is just an afterthought tacked to the end of some tome about how Bashar is really on the verge of reforming. Case in point: Lesch’s recent analysis of protests in Syria published on Landis’s blog. In listing the several reasons why Bashar al-Asad’s regime is “safe and secure,” he points to Asad’s humble lifestyle. He lives and acts humbly, i.e. you will not find any Wikileaks reports detailing the extravagant lifestyle of Bashar al-Asad. He is a good family man with a beautiful, cosmopolitan, and civically active wife. Lesch seems blind to the reasons why many Syrians are opposed to the regime, if not the actions perpetrated by the numerous arms of the regime, such as the security forces. For Lesch, the fact that Syria is a police state might be OK since Bashar has “good intentions.” If you’ve ever read Lesch’s biography of Bashar, The New Lion of Damascus, then this analysis will come as no surprise. I enjoy my access, and I think there are certain red lines, he says. I think I have learned these red lines. He [Bashar] loves Electric Light Orchestra, Lesch says. That’s his favorite Western band . . . and I like them, too. I basically said ‘Mr. President, you know I am not an apologist for Syria. I’m going to tell it like it is.’ And he said ‘I know that because I have read some of your writings and you are very critical of Syria, especially under my father. What better way to know you’re not an apologist by sitting down with the Syrian president for tea and have him tell you you’re not an apologist? In short, if you’re starting to toy around with the idea that Bashar al-Asad is a true reformer in the midst of those “other” Middle East dictators, it might be time for you to abandon your access to Syria and re-examine the basic principles that fuel your work. Lesch and Landis use their academic status to elevate themselves above your typical political commentators, but unfortunately, in the process of cultivating sources in Syria and wishing to remain on friendly terms with the regime, they have given up much of their credibility as astute observers of Syria. I don’t believe that those academics working in Syria should be compelled to become vocal critics of Asad’s regime at every turn, but those that chose to get involved politically, like Landis and Lesch, would be better suited in turning a critical eye on those in power.